New members of all three bodies of the Portuguese Chapter of the IAH were elected last 6th of March for a new triennium (2019-2022), using electronic secret ballot, by a call to all validated 2019 IAH members of this Chapter. It was with great pleasure that the new members began this new chapter, aiming to live up to the professionalism, dynamism, cooperative spirit and excelent work of comunicating, discussing, promotion and development of Hydrogeology and IAH. With a great kick-off from IAH President Antonio Chambel, amongst others, finally groundwater gets a well deserved world visibility in the World Water Day commemoration. After all, groundwater is by far the biggest source of liquid freshwater in the world, the most endangered water resource, the most critical water resource for sustainable development and health ecosystems. Only for those few facts a bright spotlight over groundwater is well deserved. Until then, groundwater endures threats from climate change, overdraft, pollution, and increasing water demand. Hydrogeologists need world recognition as privileged actors in water resource science, technology and management, working in geoethics principles. The Portuguese Chapter of IAH is pleased to announce that we will be partnering with the Spanish Chapter in organizing the Iberian Congress on Groundwater, Environment, Health and Heritage, to be held in Salamanca (Spain) between 12-15th of November 2018. The Board of the Portuguese Group of the International Association of Hydrogeologists is pleased to announce the 10th International Symposium on Managed Aquifer Recharge (ISMAR10) to be held in Madrid (Spain) from the 20th to the 24th of May 2019. The symposium is organised by the Tragsa Group, with the assistance of the invited co-organisers Spanish Geological Survey (IGME), the Spanish chapter of the International Water Resources Association (IWRA) and the IAH Spanish Chapter, and with the collaboration of the Portuguese Chapter of IAH. 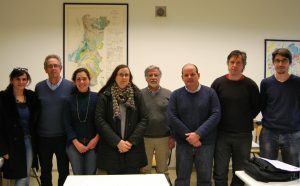 The Board of the Portuguese Group of the International Association of Hydrogeologists is pleased to have been commissioned by the International Association of Hydrogeologists (IAH) and IAPG (International Association for Promoting Geoethics) to jointly organize the international congress on GEOETHICS & GROUNDWATER MANAGEMENT: THEORY AND PRACTICE FOR A SUSTAINABLE DEVELOPMENT, a task for which it had previously been proposed. This congress is publicly announced at first hand today, the World Water Day. It will take place in Porto, between 21-25 october 2019. It ss the first action that results from the Cooperation Protocol signed on April 5, 2017 between IAH and IAPG. For chaiman of the congress and of the organizing committee was committed to Manuel Abrunhosa, associate of both organizations. The French Chapter of IAH is holding the Hydrogeology of Chalk congress between the 24th and 26th of May 2018, in La Havre in Normandy, France. The Board of the Portuguese Chapter of the International Association of Hydrogeologists (AIH-GP) is pleased to inform that his associate member Prof. Helder I. Chaminé (Geol, PhD, DSc) accepted the invitation of editor-in-chief Dr. Clifford I. Voss to join the editorial board as associate editor (2018-2020) of the Hydrogeology Journal (IAH + Springer), the official journal of the IAH. Prof. Helder Chaminé is a Geologist (U.Porto), Coordinator Professor with Aggregation, researcher, Director of the Laboratory of Cartography and Applied Geology of the Department of Geotechnical Engineering of the ISEP https://www.facebook.com/AIHPortugal/ of Engineering, Polytechnic of Porto, and an active member of several national and international scientific and professional associations. The Board of the Portuguese Chapter of the International Association of Hydrogeologists wishes Prof. I Chaminé the greatest success in this new challenge, expressing all the support for the promotion of publications in Hydrogeology, International and Portuguese. The Portuguese Chapter in collaboration with the Spanish Chapter and the IAH Network on Fractured Rock Hydrogeology are organising GwFR’2017 (International Conference on Groundwater in Fractured Rocks). For the first time in Portugal, the conference will be held in Chaves between the 5th and the 7th of June 2017, and will gather specialists in fractured rock hydrogeology from around the world. During the conference a special session will be held in memory of our late colleague a Jiri Krâsny, the principal inspiration behind these conferences. The 11th Seminar on Groundwater, organised by CEAS-APRH with the collaboration of the Portuguese Chapter of IAH and ISEP, aims to disseminate scientific and technical works as well as stimulate debate on the various themes related to groundwater resources in Portugal. All interested parties are invited to participate and submit technical and scientific abstracts on groundwater related subjects, for poster or oral presentation. Posters presented in previous Congresses are welcome, so as to present and disseminate groundwater related research. HYDROKARST 2017 Is the tenth edition of the Karst Hidrogeology course, taught by researchers from the Unidad Asociada “Estudios Hidrogeológicos Avanzados”, between the Centro de Hidrogeología of the Universidad de Málaga (CEHIUMA) and the Instituto Geológico y Minero de España (IGME). The course is an event organized by the Spanish Chapted of the International Association of Hidrogeologists in colaboration with the UNESCO International Hydrology Program. The Croatian National Chapter of the International Association of Hydrogeologists will host the 44th Annual Congress “Groundwater Heritage and Sustainability” in the Dubrovnik Palace hotel, Dubrovnik, Croatia, from 25th to 29th September 2017. Fellow scientists, engineers, other professionals, policy makers, government officials, as well as to students interested in groundwater are invited to join this congress and share their ideas, experiences and knowledge. Western Mediterranean countries of both southern Europe and North Africa are expected to experience impacts on the sustainability, quantity, quality, and management of water resources. Future scenarios in this region forecast the decline in streamﬂow and in reservoir capacity. In this context the groundwater becomes an increasingly strategic resource to meet the water demand from irrigated and urban areas. Addressing these issues requires regional and global coordination, thus IHP-UNESCO recommends facilitating the country/regional groundwater assessment and exchange of information via seminars, workshops and conferences. In this spirit, the Spanish Chapter of the International Association of Hydrogeologists are organising the Congress on Groundwater and Global Change in the Western Mediterranean with the collaboration of the French, Moroccan, Portuguese and Tunisia Chapters and Algerian Groups. The congress is to be held in Granada (Spain) from 6-8 of November, 2017. Deﬁning growing population pressure on groundwater resources. Evaluating changes in groundwater quality, storage and ﬂuxes by way of monitoring and modelling approaches. Predicting global warming impacts on groundwater recharge rates and saltwater intrusion. Assessing steps for the protection and sustainable use of groundwater in quantity and quality. Key dates: Feb 28th 2017 Abstracts submission; May 1st 2017 Manuscript submission; May 1st 2017 Final registration. 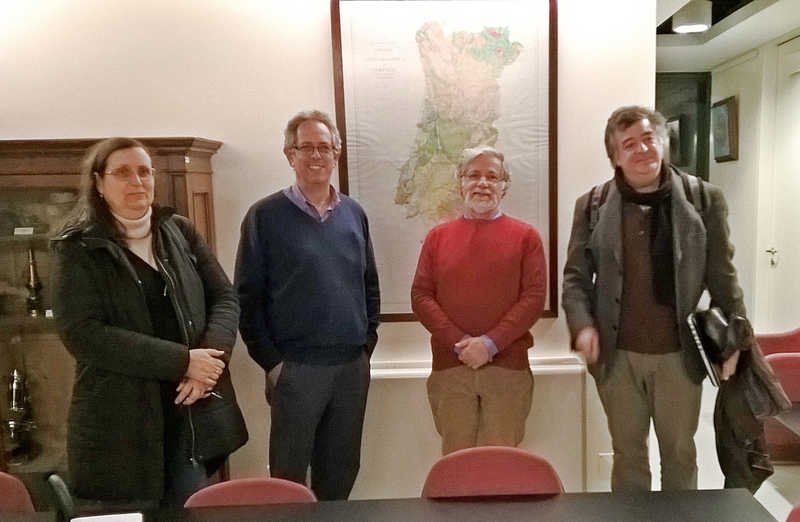 On the 11th of March the extraordinary assembly was held and the new members of the steering committee of the Portuguese Chapter of the International Association of Hydrogeologists’ (AIH-GP) for the 2016/2018 term. It was with great pleasure that the new members began this new chapter, hoping to live up to the professionalism, dynamism, cooperative spirit and excellent work of the IAH in disseminating, discussing, promoting and developing Hydrogeology worldwide.